The most obvious task of a developer involves coding. But in reality it takes much more to be a capable developer. In normal work days only part of the job is writing actual codes. Besides that, you have to work with collegues from other departments, work in an agile way, manage your time and deadlines, present what you archieved and much more. 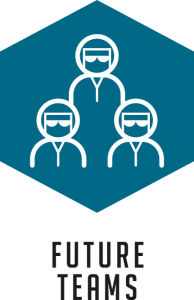 Future Teams is the topic to help you with your actual day-to-day worklife. By optimizing your side-activities you will have more time to do the thing you love: Coding.